1. lay out your driftwood largest piece on bottom and stack slightly smaller each row until you reach the smallest piece at the top which should create the shape of a tree. 2. Attach the driftwood with fishing line or screws to a piece of plywood or directly to your wall. 3. We found this cool coastal wood star that we used as our topper, you can use a starfish as well. 4. String your lights starting at the bottom crossing back and forth, when you reach the top cross back down. 5. Start hanging your ornaments. We hung glass rope balls and nautical lanterns on ours. Our driftwood tree is 8' tall and made from large pieces of driftwood. 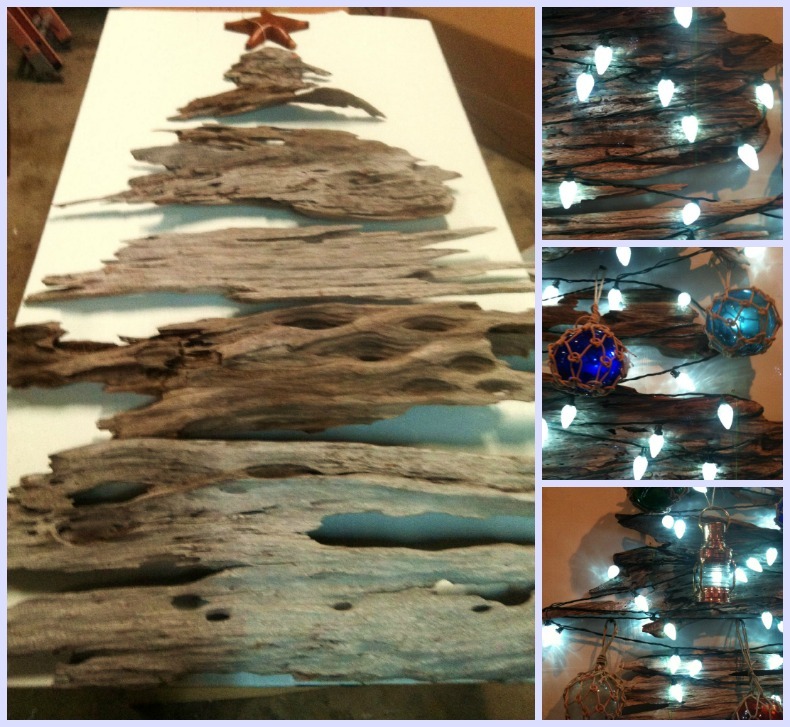 Coastal driftwood Christmas DIY. 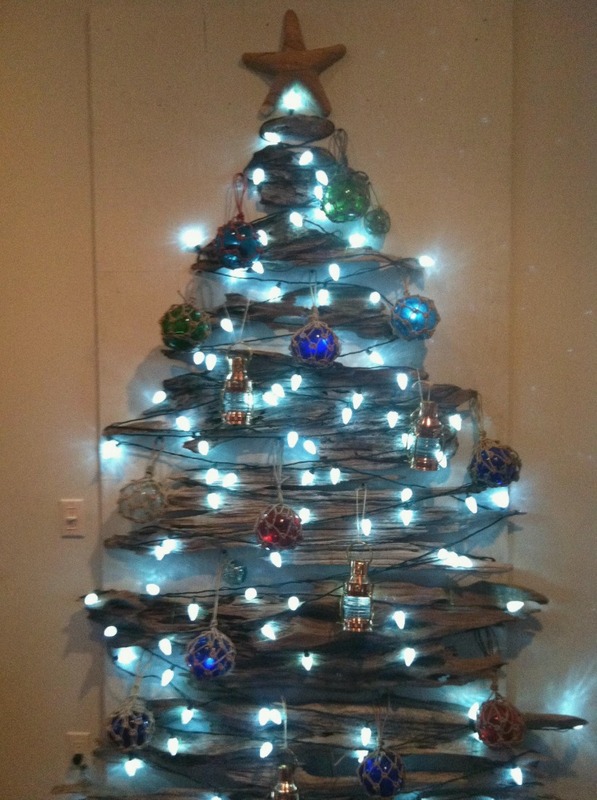 Driftwood Christmas tree design you can do at home.